Getting a Root Canal in Bonita Springs Can Save a Smile! Having the ability to save a damaged or diseased tooth is one of a dentist’s greatest achievements. Past dentistry encouraged those teeth to be removed. But now, endodontic treatment—more commonly known as a root canal in Bonita Springs—can do just that! Even though a root canal is about saving teeth, some patients become frightened when they hear they may need one. Pelican Landing Dental wants to shed some light on root canal therapy and how it can tremendously improve your oral health. Root Canals Help Patients—Not Hurt Them! So, what’s the truth about root canals? Root canals are performed to save a damaged, dying tooth root from becoming further infected and spreading infections. Although our bodies created our teeth to last a lifetime, certain circumstances cause unexpected infections like trauma or the buildup of dental bacteria. If you don’t seek the appropriate medical attention, your teeth will start to decay all the way from the root of your tooth (on the inside) and eventually die. Our experts at Pelican Landing Dental can perform this tooth-saving procedure to get your oral health back on track! Not only will they remove every sign of infection, but they will fill the tooth with a biocompatible material, and seal the area with a tooth-colored dental crown. This quick ending to your root canal will keep your tooth from getting infected by dangerous bacteria in the future. Healthy jaw bones won’t grow in an area contaminated with infection. Instead, a hole in the jaw bone will show up as a black spot during dental x-rays because the bone does not grow in that area. Typically, a white, yellow, or red pimple-looking bump that appears on your gum line. You can tell that this comes from infection because your body is trying to rid the infection by venting it out with bodily fluids such as blood or puss. Tooth pain that occurs when you lie down or suddenly stand up. This can be a sign of an abscess or dead tooth. 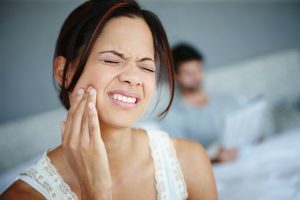 Pain that not only occurs in your tooth but another part of your body. Additional pain can occur in your jaw, ear, neck, or surrounding teeth. Tooth pain that occurs from a stimulus, like a hot or cold drink. Sometimes this can also be caused by extremely sweet foods or drinks as well. To know more about root canals and how you can benefit from them, contact our office. We have a helpful office team that is ready to answer any questions you may have. Feel free to schedule an appointment with any of our dentists to see which dental treatment is best for you. Comments Off on Getting a Root Canal in Bonita Springs Can Save a Smile!